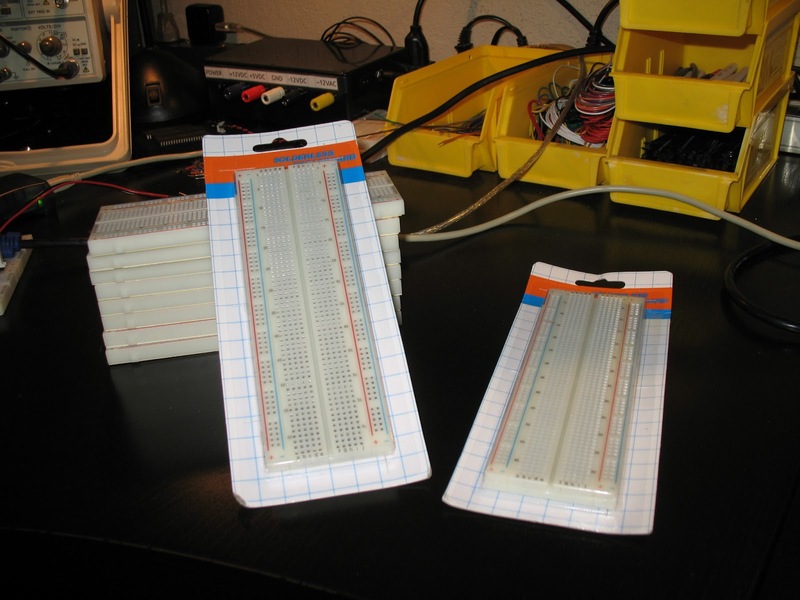 The Resistor Network: New Breadboards! I was really impressed by the fact that they came in retail packaging. 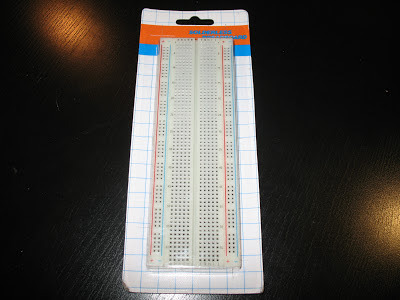 I expected 10 loose breadboards with sheets of paper separating them. These are definitely suitable for hang-up-display in your neighbourhood electronics shop. I wouldn't have minded them coming unpackaged as I merely opened them and put them in my parts stock pile. Here is a closeup of the product. It looks and feels like any other breadboard in this class. Components insert nicely, there is a good amount of tension and the layout is the same as all of my existing breadboards. 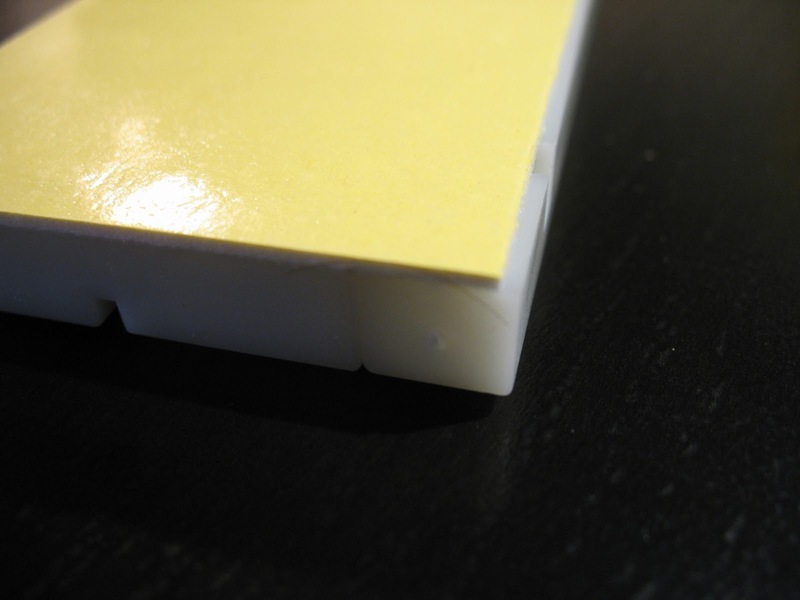 They also have retaining clips on the side for joining multiple boards together. The breadboard comes equipped with foam mounting tape on the bottom but sadly does not include the metal shield that is typically included with breadboards of this style. 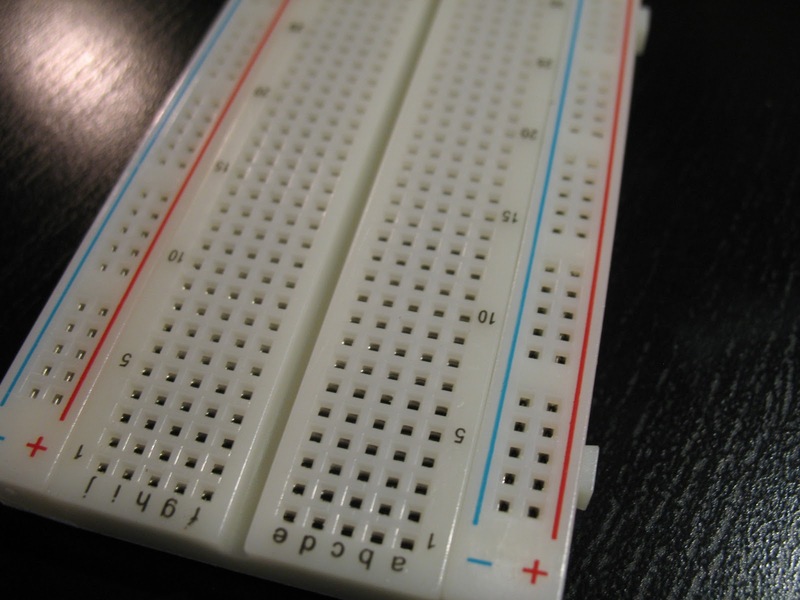 Here is a comparison of the new breadboard (left) to one of my existing breadboards (right). I am not sure how much this shield truly helps as it is typically disconnected from the circuit. Time will tell when I attempt to build any circuit that runs at an appreciable frequency. 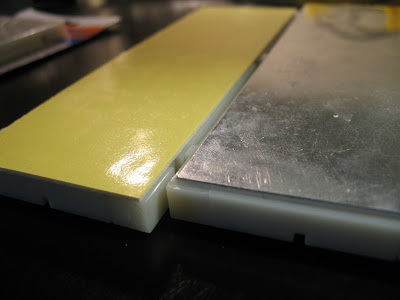 What if you stick them to a piece of sheet aluminum - instant shield!